It took a nation of Belgians to hold them back. THE SCENE: Bazombo trance music is a fiercely polyrhythmic style indigenous to the area between Congo and Angola, and is usually played on likembes (the thumb piano) and hand drums. But years of Belgian colonization had pushed many natives into the urban cities, where it was hard to hear the music over the noise of modern culture. In 1980 likembe master Mawangu Mingiedi fought fire with fire and founded Konono N°1, the first bazombo group with electrified amplification. And they didn’t just run down to Guitar Center and buy some gear. They plugged their likembes into massive handmade speakers built with magnets scrounged from Belgian car radios. They carved working microphones out of wood and attached them to oversized megaphones, also left by the Belgians. They made percussion out of pots, pans and brake drums. All these inventions created crazy distortions in the sound, which gave the group a uniquely brutal and industrial flavor. Flurries of watery fuzzy metal tones crash into martial drums topped with shrill whistles and call-and-response chants. Imagine campfire songs performed by an extremely angry marching band on amphetamines. It’s that primal and earthy, yet it’s not always clear which earth. 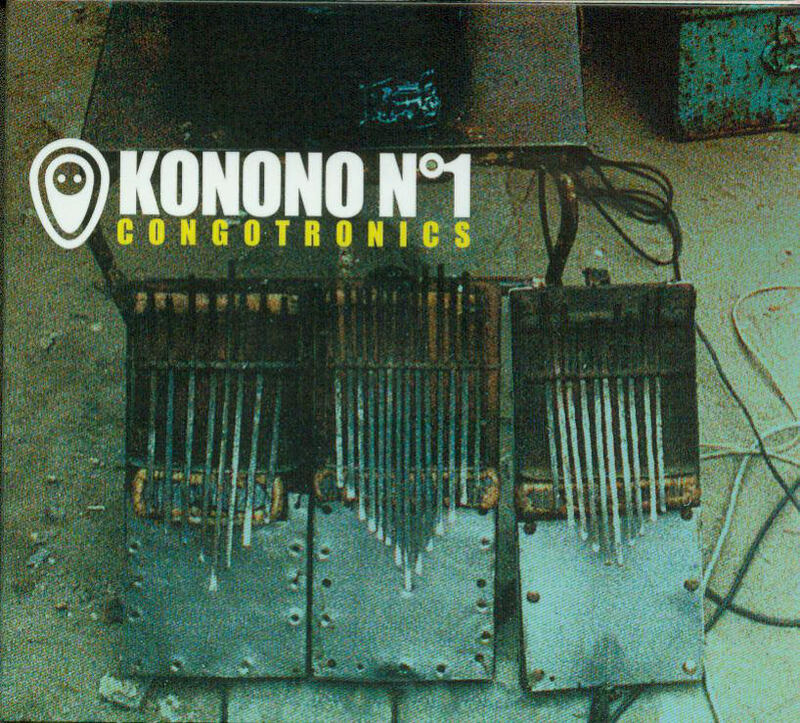 Intense and unique Konono N°1 went virtually unrecorded until Congotronics. Although twenty-four years had passed, not one item of their instruments or sound system had changed. That’s the equivalent of Grandmaster Flash sticking with the same turntables for his entire career. Talk about “keeping it real”. THE FALLOUT: An unexpected critical success is starting to become a commercial success as well, and Konono N°1 is touring Europe and USA this year. Congotronics is available from Amazon. For all you Public Enemy and Kraftwerk fans, here is the organic equivalent. NEXT WEEK: Basehead belches up a tipsy classic.